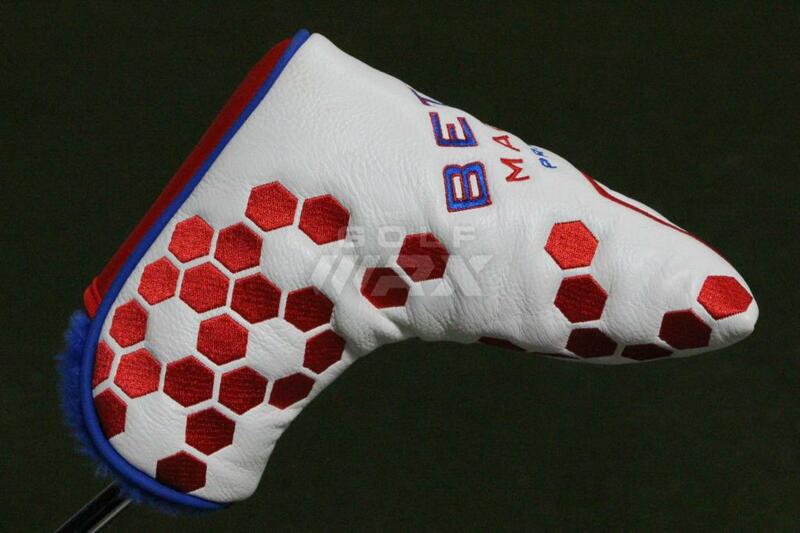 Pros: 100% milled, with a very soft feel at impact. 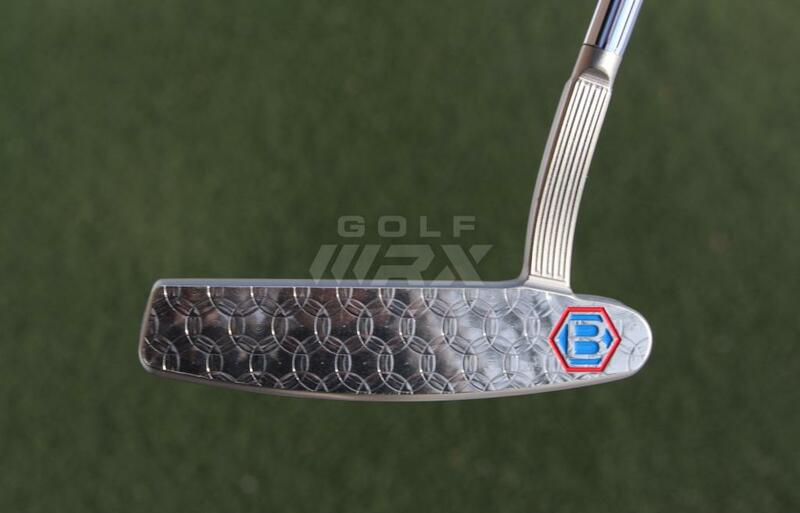 The Hyper-Honeycomb face finish is stunning, and is a nice modern touch to these classic putters. 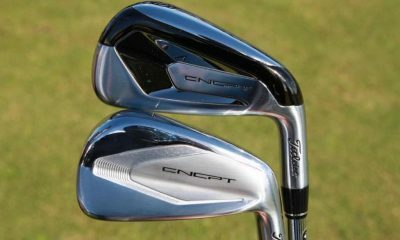 Cons: They’re expensive ($299), and only come in one head weight (353 grams for standard-length, 395 grams for counter-balanced). 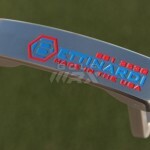 Bottom Line: Even golfers who don’t know much about putters can appreciate the quality of Bettinardi’s BB Series putters. 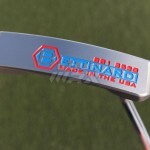 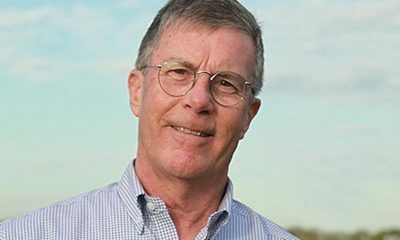 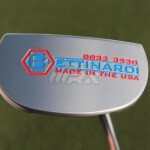 Golfers not familiar with the Bettinardi brand should know that the Tinley, Ill.-based company has its roots in the defense industry, which according to Bettinardi’s Vice President of Sales and Market Sam Bettinardi was the impetus for the high-quality machining process its putters undergo. 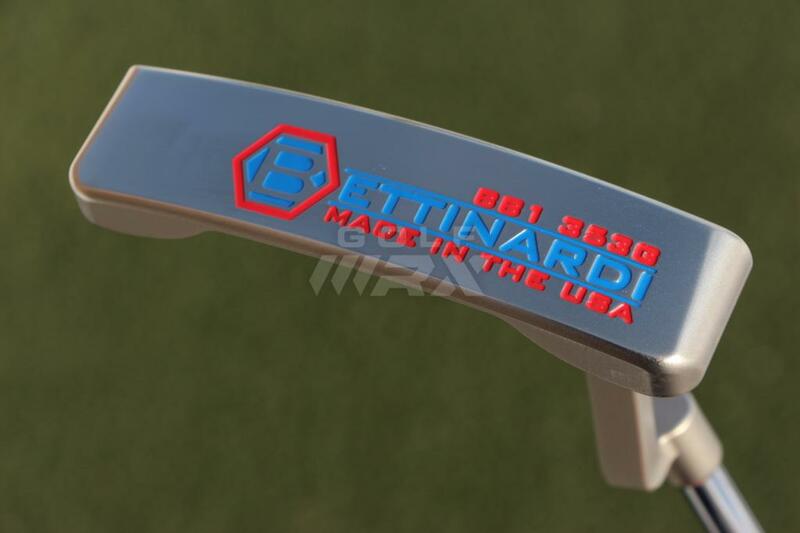 Each and every Bettinardi putter starts as a solid block of steel, and is 100 percent milled and assembled in Tinley Park. 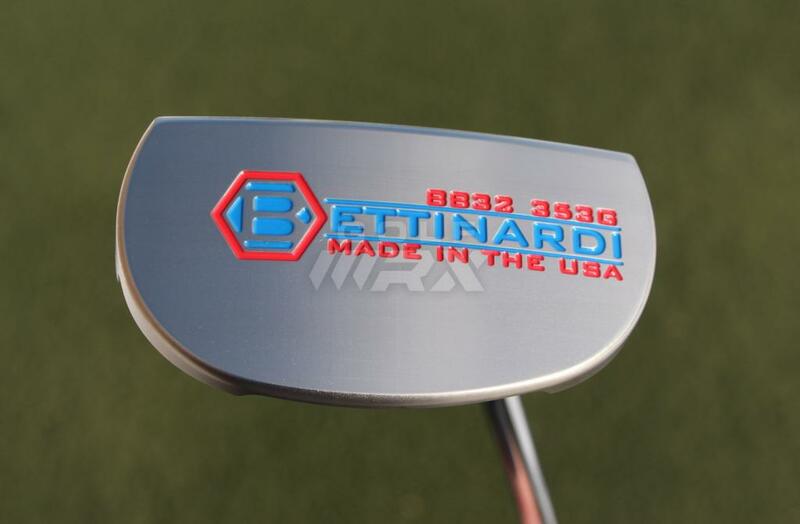 That gives the company extraordinary control over its manufacturing process, which has earned Bettinardi great praise from putter aficionados for its tight tolerances and attention to detail. 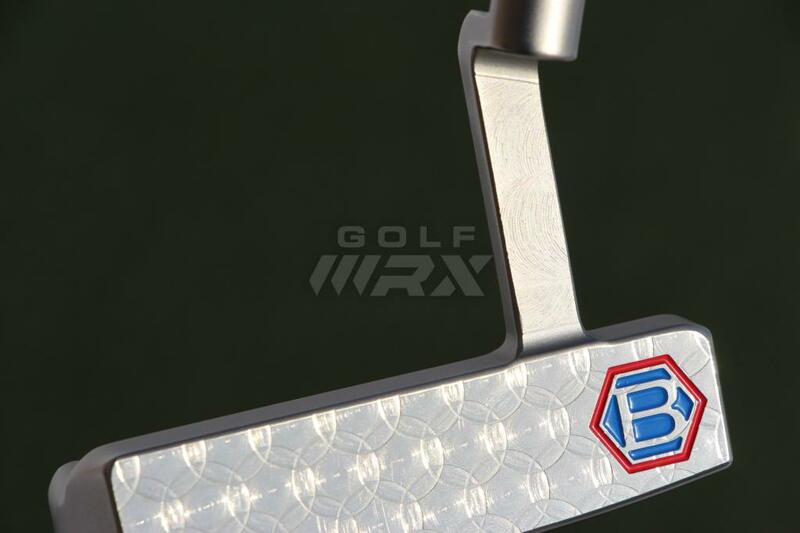 The 2014 BB Series technically includes five models: the BB1, BB1F, BB32, BB43 and BB55. 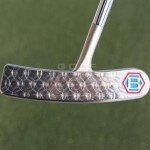 This review will not include the high-MOI BB55 putter, however, which got its own review that can be viewed here. 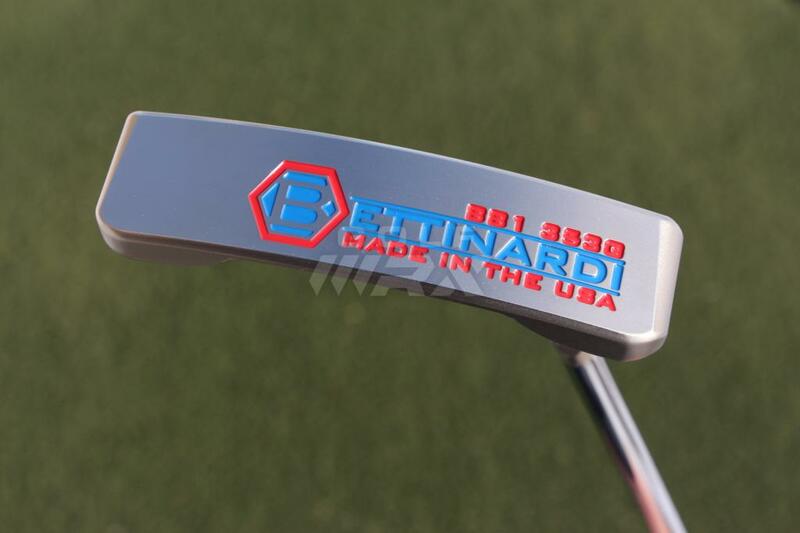 Each of the BB Series putters has a head weight of 353 grams, and comes stock with a Pure Grip made custom for Bettinardi in either standard or midsize. 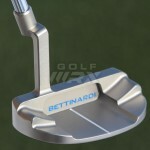 Two counter-balanced models are also available: the BB1 CB and BB32 CB. 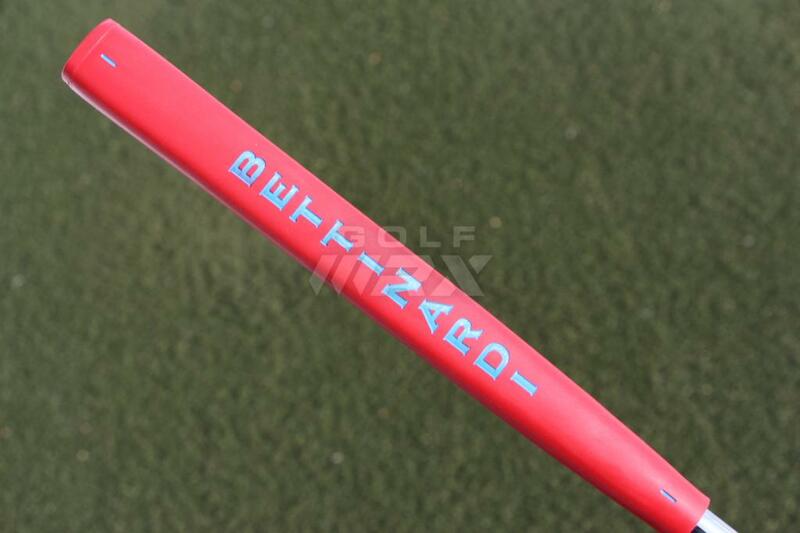 They come stock at 38 inches with a 17-inch Winn grip made custom for Bettinardi that weighs 135 grams. 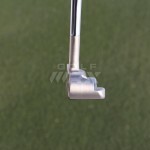 The extra 42 grams that the 3 inches of length add to the total weight of the putter is balanced with an extra 42 grams of head weight, making each putter head 395 grams. 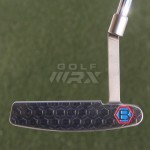 The standard-length BB1 is available for righties and lefties, while the rest of the line is right-handed only. 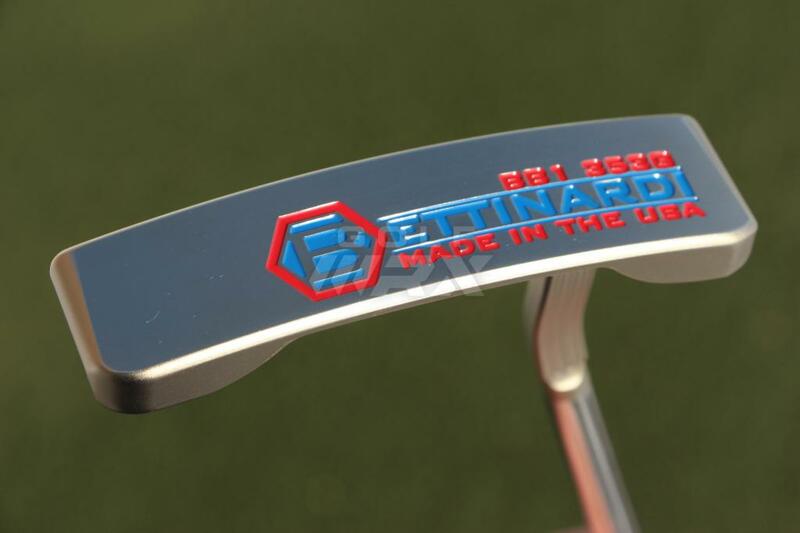 The weight of each Bettinardi BB Series putter head is written on the sole. 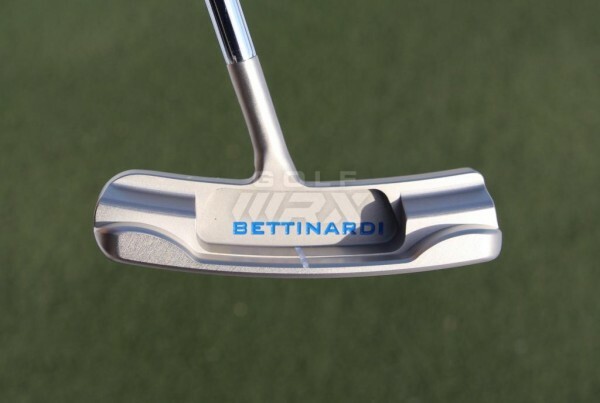 The putters have Bettinardi’s Hyper-Honeycomb face, a milling pattern that debuted on the 2013 BB Series putters and produces larger-diameter honeycomb shapes than the original pattern. 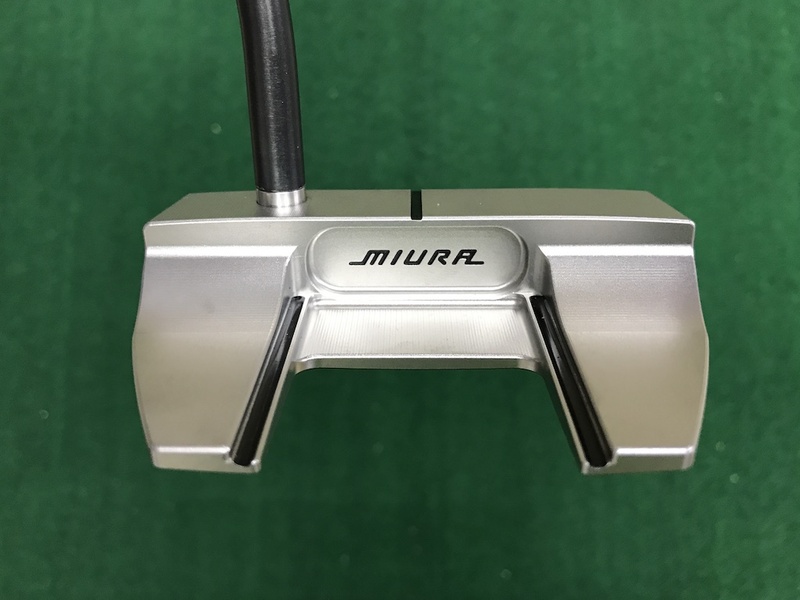 The faces and soles have a high-polished silver finish, while the top of the putters have a glare-free matte silver satin finish. 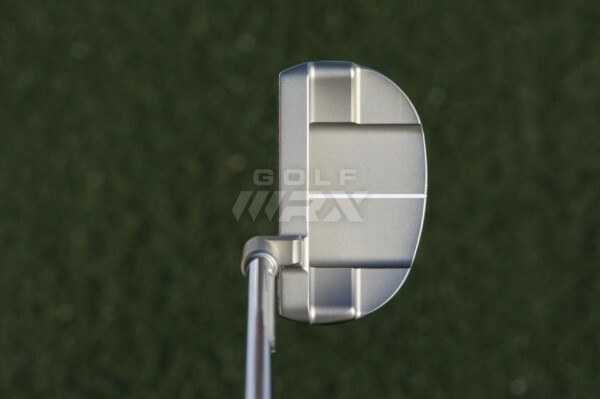 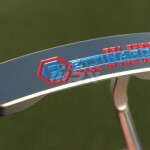 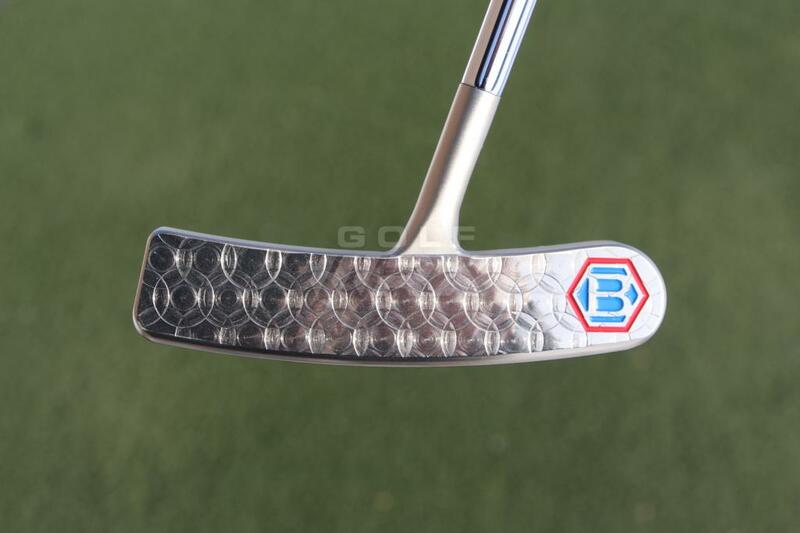 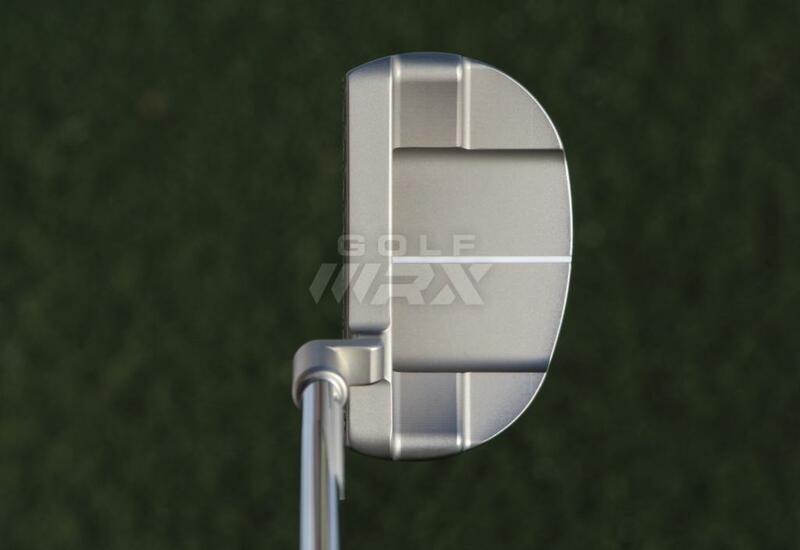 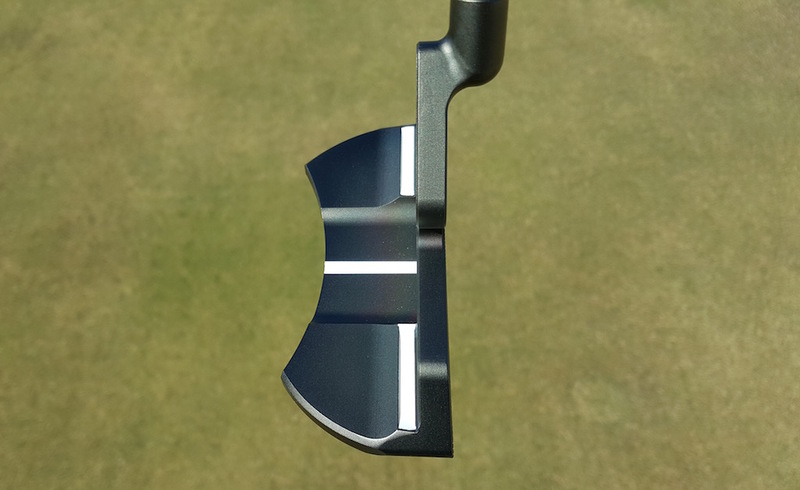 The BB1 is an Anser-style putter with a slightly longer-than-normal plumber’s neck. 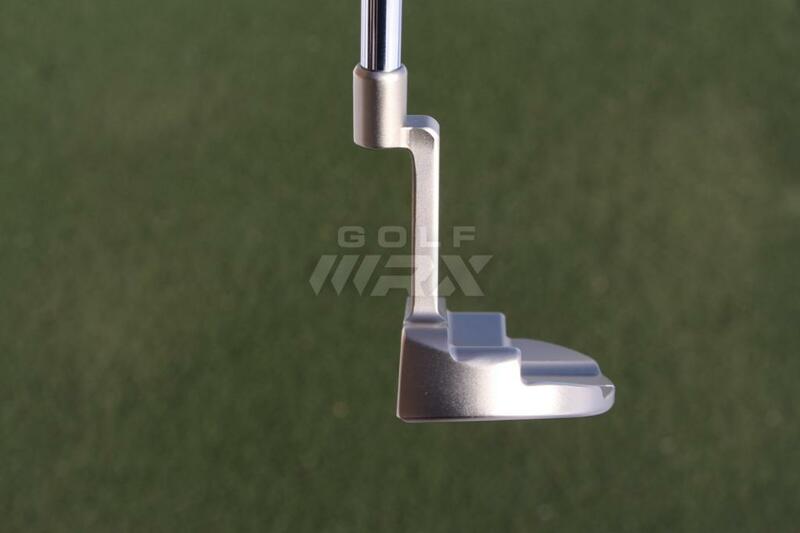 That gives the putter a one-half toe hang, making it more face-balanced than the 2013 BB1 putter (it had a shorter hosel and a three-quarter toe hang). 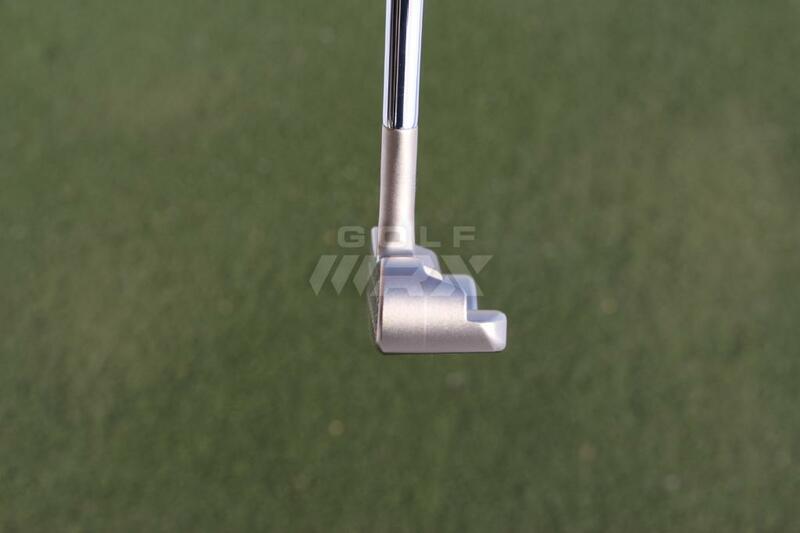 The longer plumber’s neck also extends the angular portion of the neck farther from the top line, making it less noticeable at address. 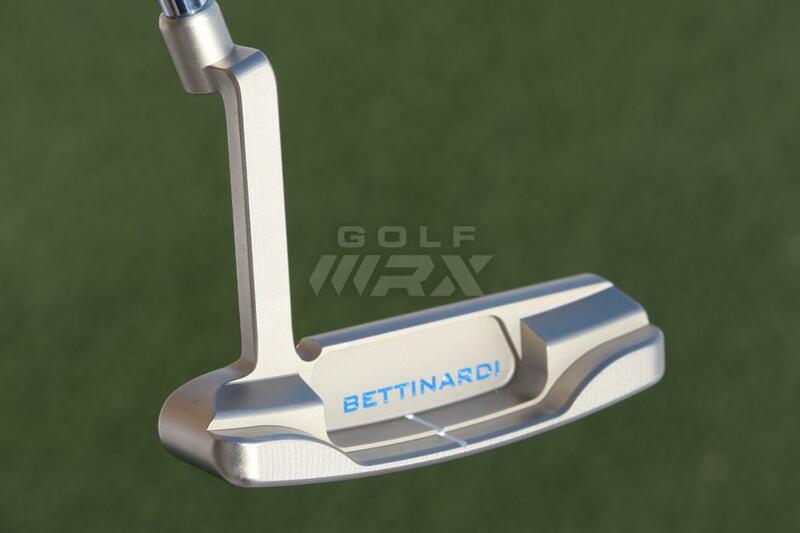 According to Bettinardi, putter design trends are moving away from models with a lot of toe hang and more toward face-balanced models, which was the reason its neck was extended. It also provided ample space to showcase the milling process that shaped the 1-piece putter, as Bettinardi left the mill marks on its hosel intact as a subtle clue to the putter’s quality. 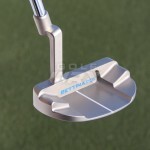 The BB1F is an elongated Anser-style putter with a flow neck that delivers a three-quarter toe hang. 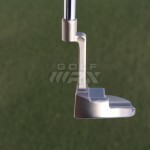 That’s the most toe hang of any putter in the line, making it a fit for golfers who have a lot of arc in their stroke. 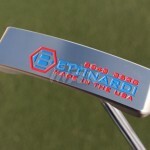 Like the BB1, Bettinardi added style to the putter’s neck. 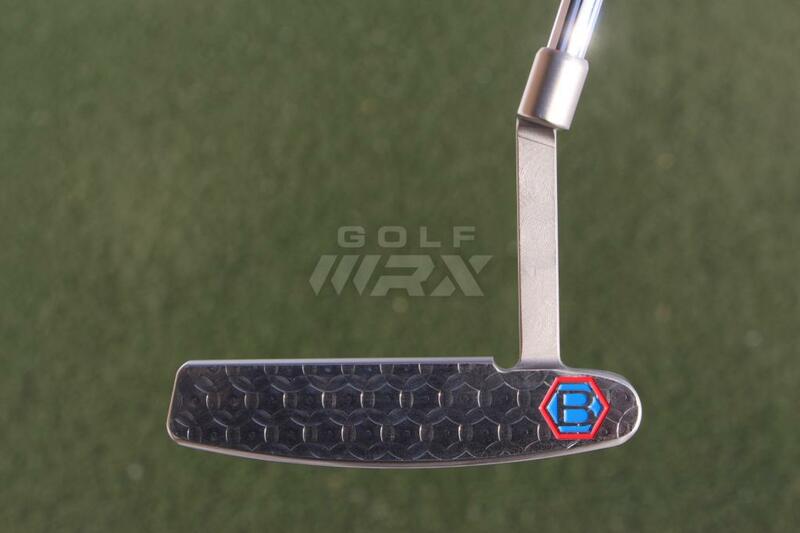 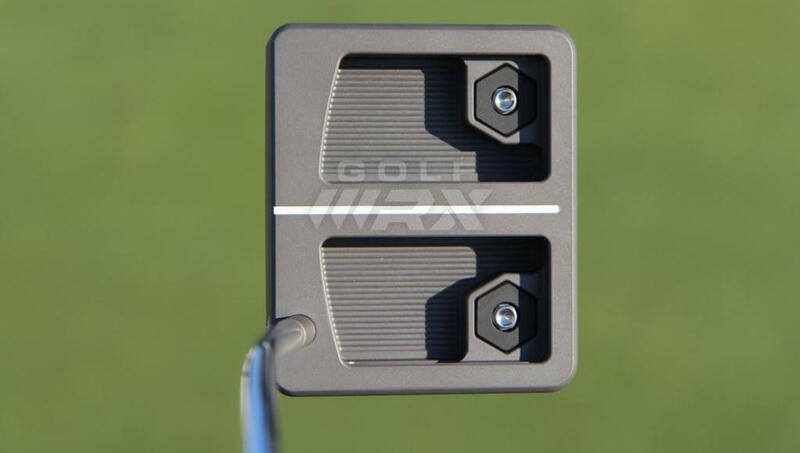 Ridges are milled along its curvature, giving it a “wow” factor, especially for golfers who are not used to handling high-quality putters. 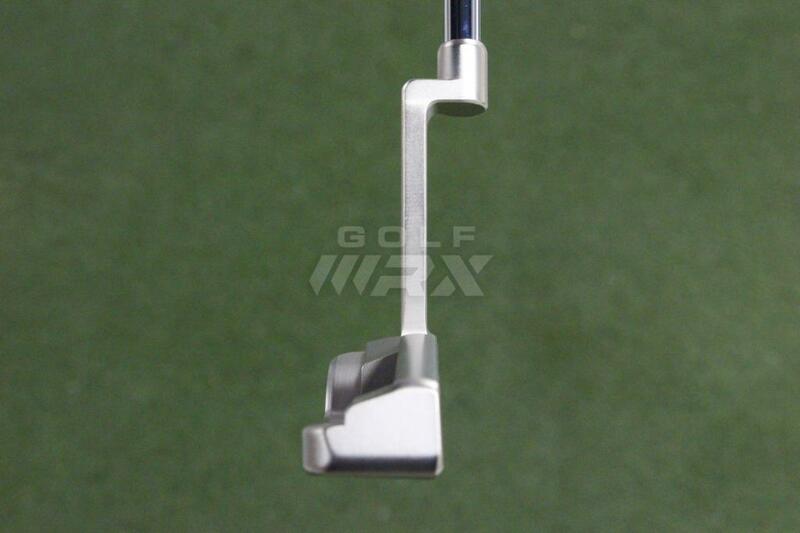 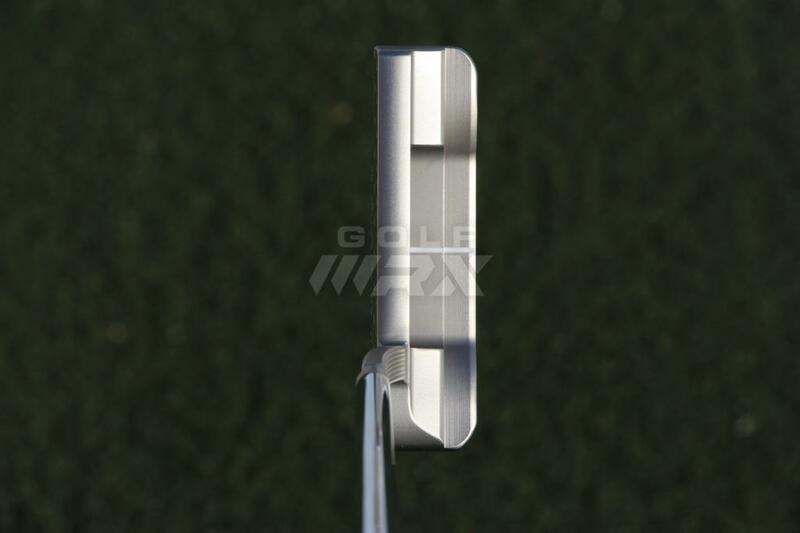 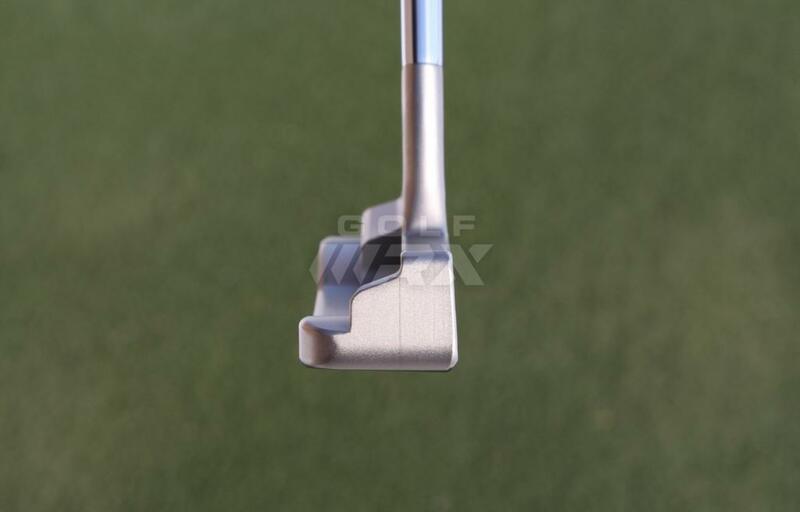 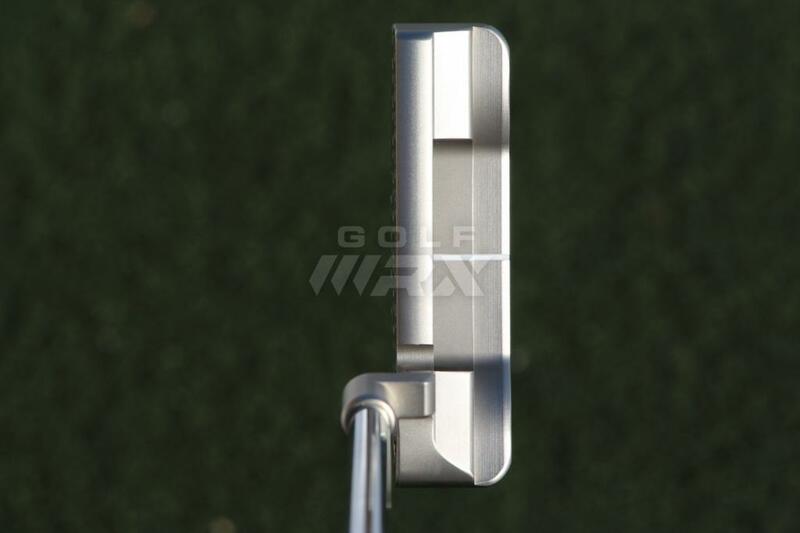 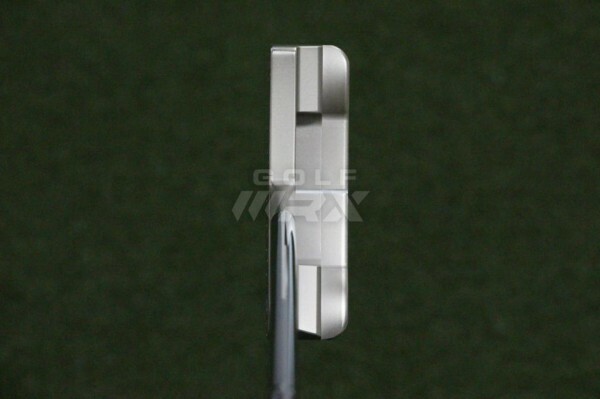 More impressive is the way the long, skinny flow neck transitions into the top line of the putter at address. 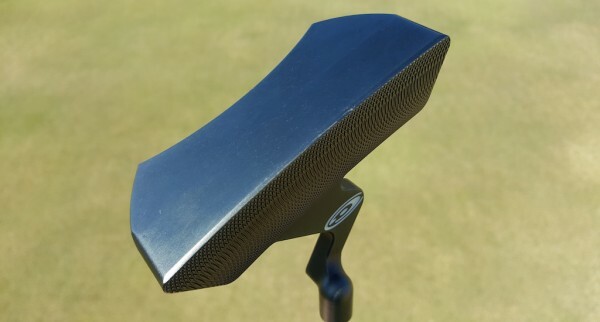 It’s one of the least prominent flow necks on the market, a real feather in Bettinardi’s cap for a golfer who is sensitive to the amount of neck that is visible at address. 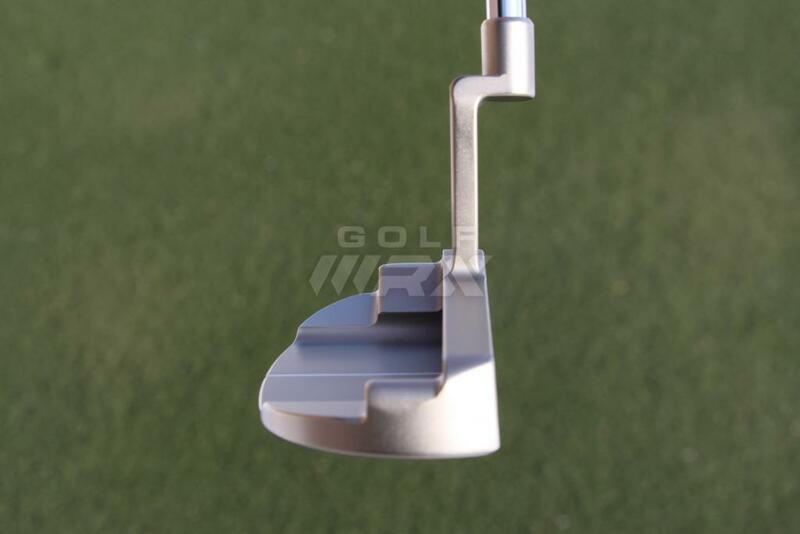 The wider footprint of the BB1F and its wide-set bumpers also gives the putter more stability than golfer’s might expect from a flow-neck Anser-style putter. 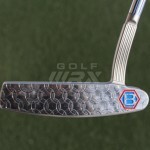 The BB32 is easily my favorite putter in the BB Series. 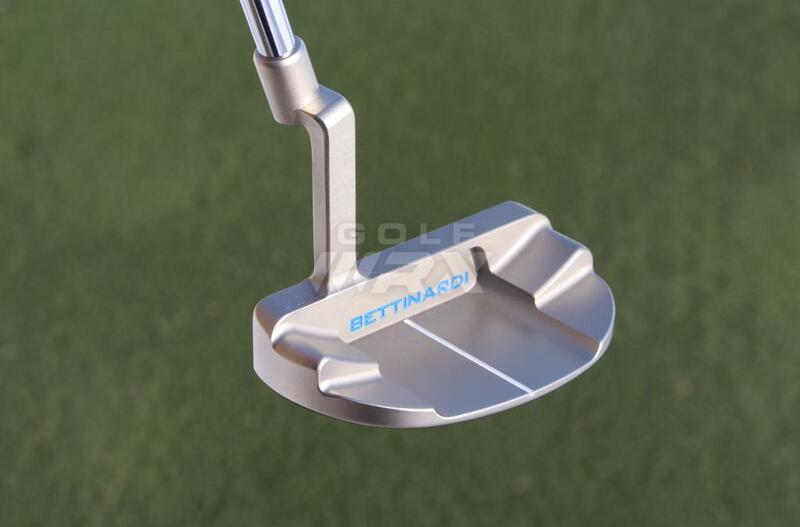 There’s an alignment story: the “rare flange design,” as Bettinardi calls it, extends the half moon-shaped flange to allow for a longer sight line, which makes the putter easier to aim. 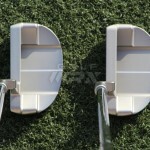 The putter’s bumpers also serve to shrink the size of the mallet. 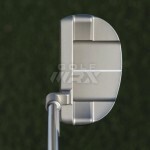 They angle inward toward the center of the flange, making the BB32 look smaller than it really is. 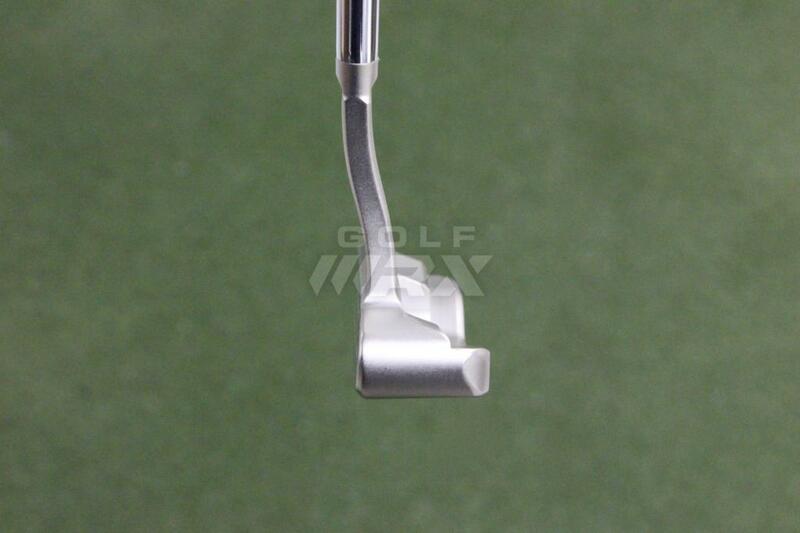 That visual trick might be the reason the putter was much more stable than I thought it should have been. 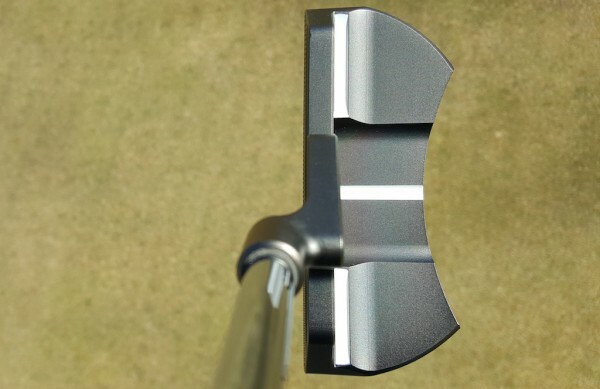 With a one-quarter toe hang and a plumber’s neck, the BB32 also has the potential to draw curiosity from both blade-putter users who are looking to try something more robust, as well as mallet users who are looking for something more inspiring at address. 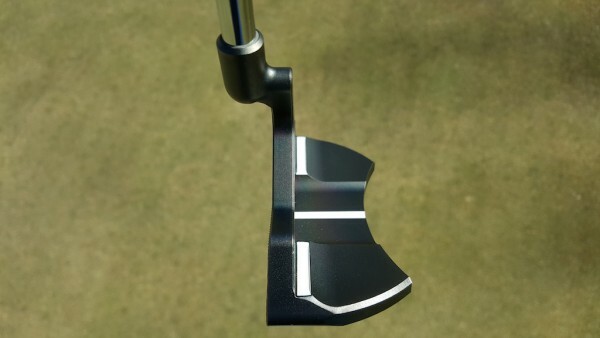 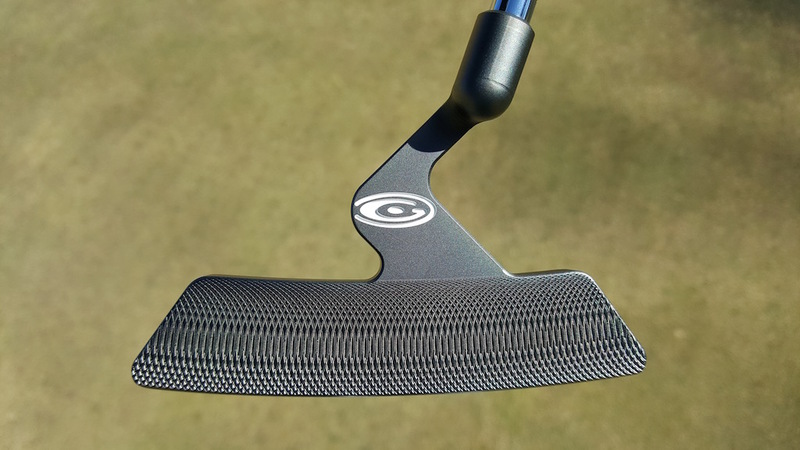 The BB32 CB, the counter-balanced version of the putter, aims to please the nervy crowd. It and the BB1 CB are a must-try for golfers who want to try a counter-balanced putter, but are not prepared to switch to a more radical-looking, high-MOI design like the BB55. 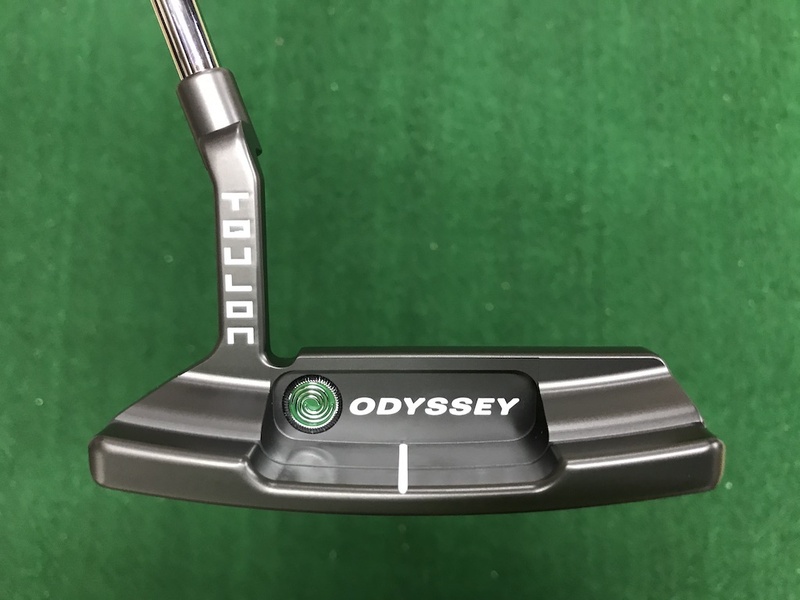 Be aware, however, that compared to TaylorMade’s Daddy Long Legs, Odyssey’s Tank and Bettinardi’s B55 CB, the BB32 CB feels considerably heavier at address. 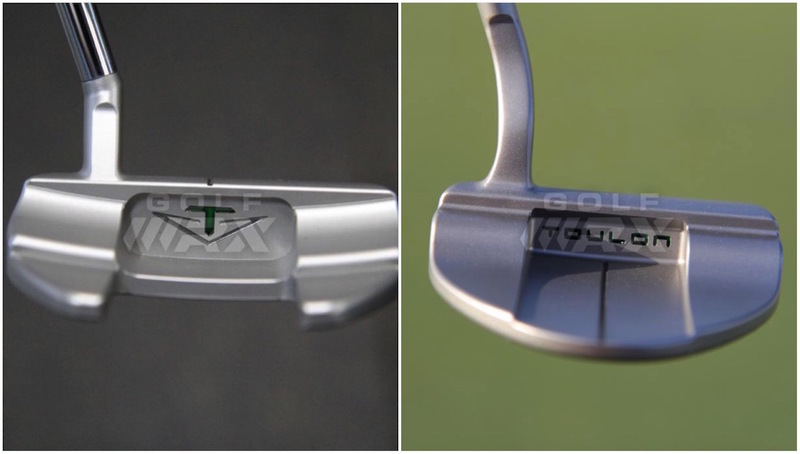 I could speculate as to why, but it’s better to sample the putters yourself and make your own judgement. 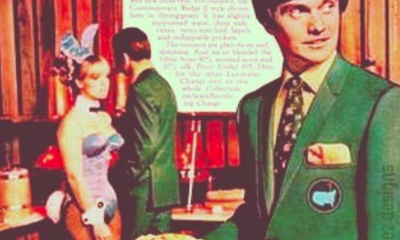 Maybe you’ll find that you don’t mind the heavier feel. 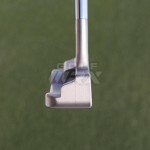 The BB43’s true center-shafted design places more of the putter’s mass directly behind the impact area. In iron design, that’s known to make a iron feel softer and more solid at impact, and the BB43 is no exception: it’s the softest-feeling putter in the line. 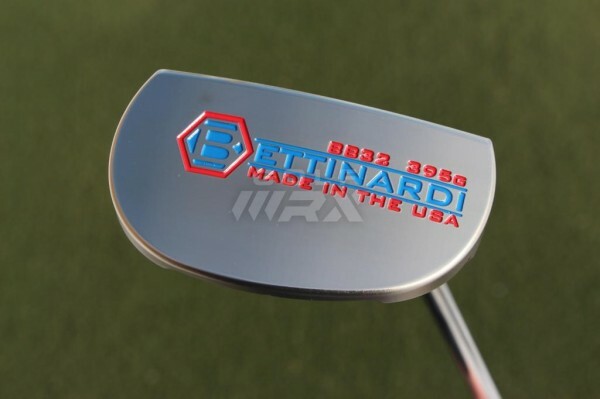 According to Bettinardi, the BB43 has garnered a cult following since the release of the original BB43 in 2001, which likely stems from its quirkiness. 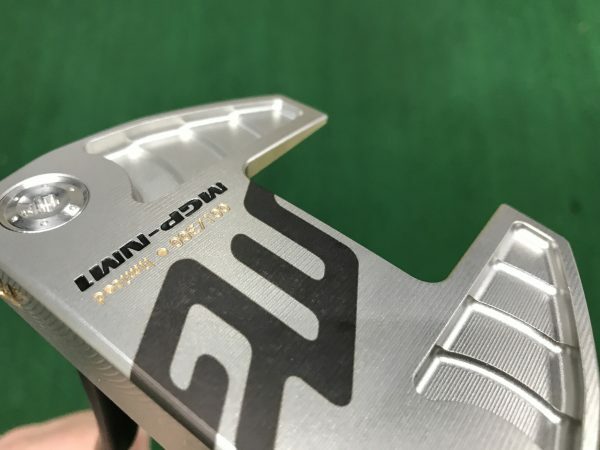 When viewing it from face-on, I swear I’m looking at a Bullseye. 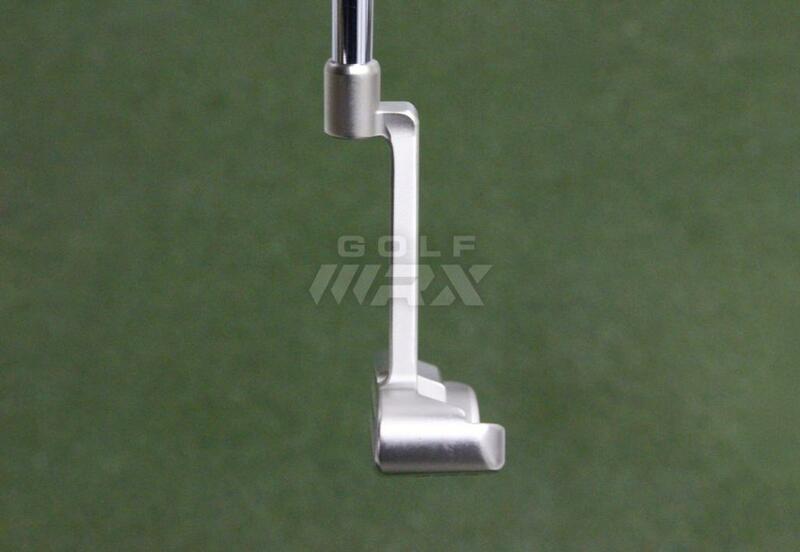 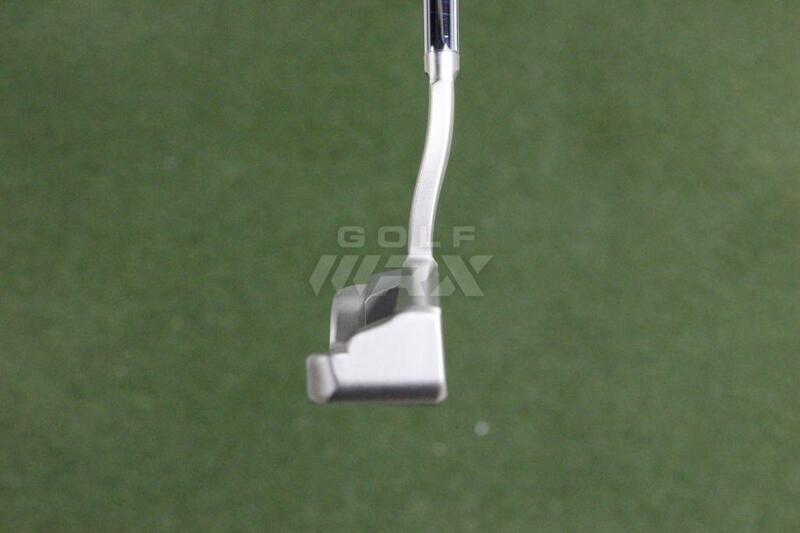 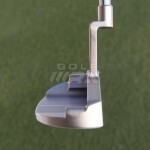 But in the playing position, the putter morphs into a center-shafted Anser-style putter. 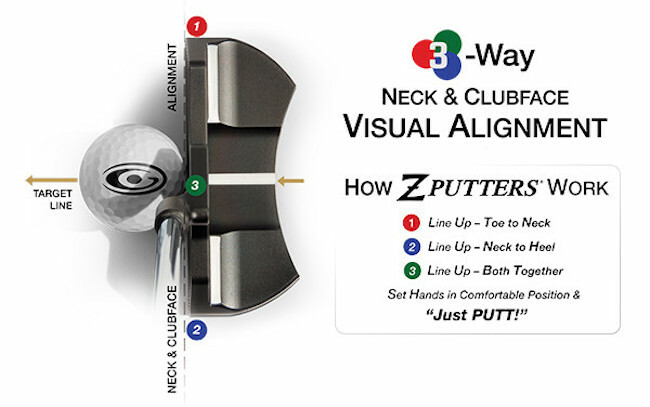 It’s also face-balanced, which should help golfers who have putting strokes that are more straight-back and straight-through. 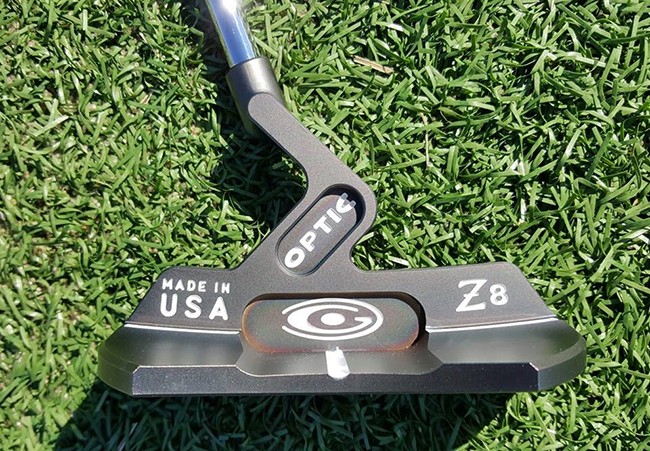 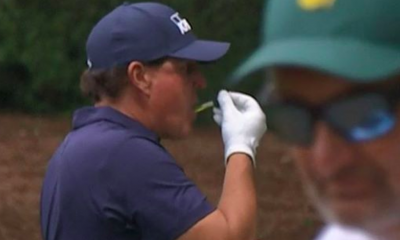 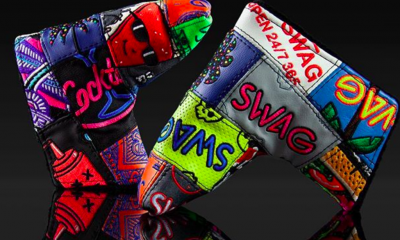 Golfers who are willing to spend $300 on a putter demand certain things. 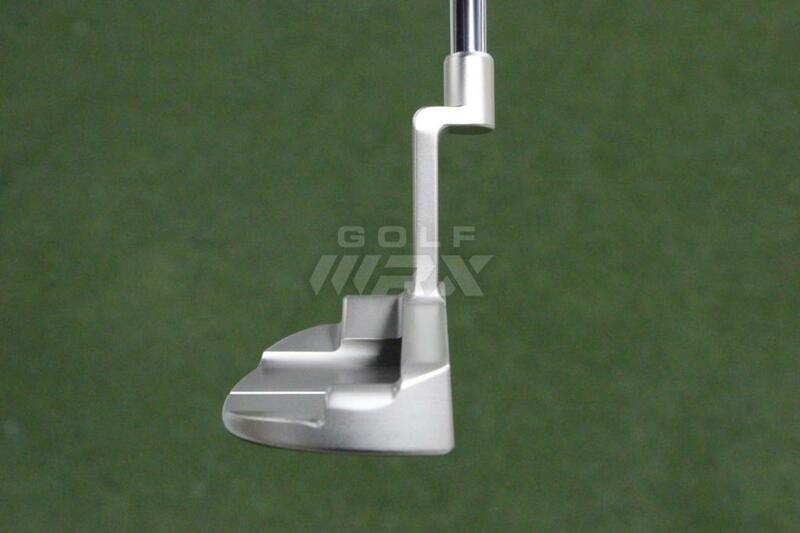 If they’re purists, simplicity — the strong point of the BB Series line — is high on their lists. 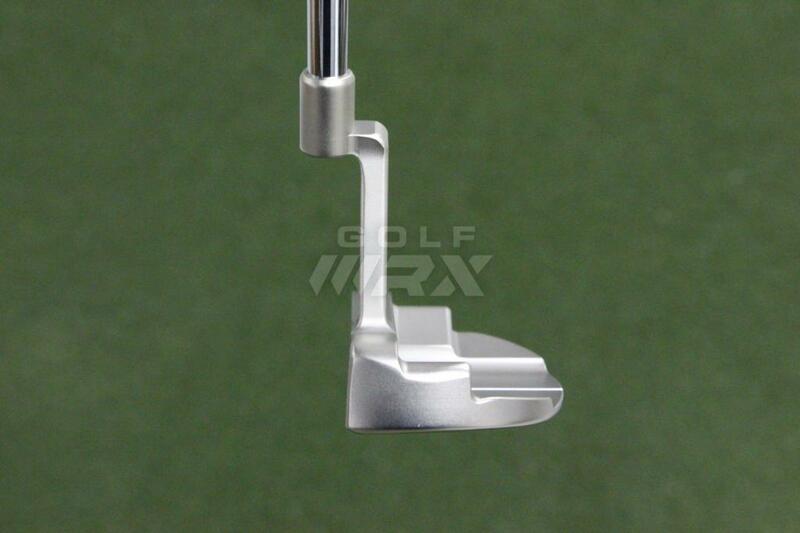 At address, the non-glare silver satin finish on the top of the putter is all business. 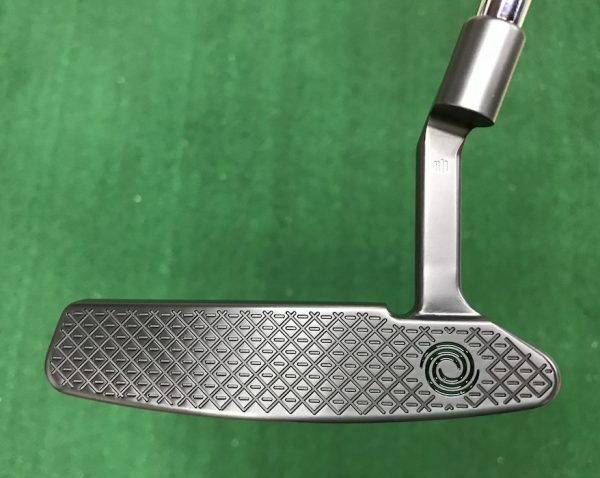 But the high-polished, Hyper-Honeycomb faces of the putters don’t just add artistic value to the putter — they add performance and durability. 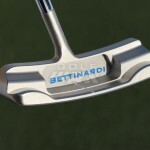 According to Bettinardi, the Hyper-Honeycomb faces ensure a completely flat face surface, a claim that’s hard to dispute when viewing the flatness of the face from the side. The high-polished finish on the face and sole also add durability to those high impact areas. 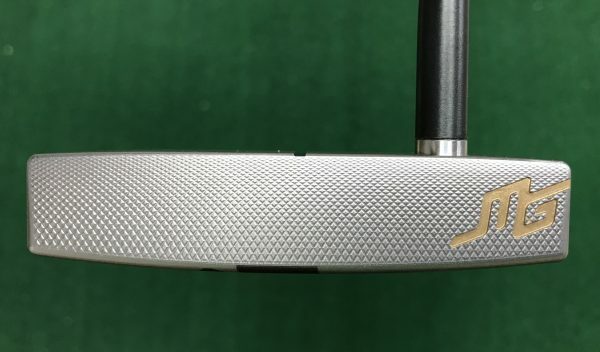 Any golfer who has ever bought a completely matte putter, only to watch the sole and face develop a shine from use over time know exactly what I’m talking about. 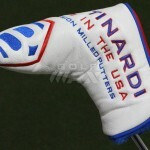 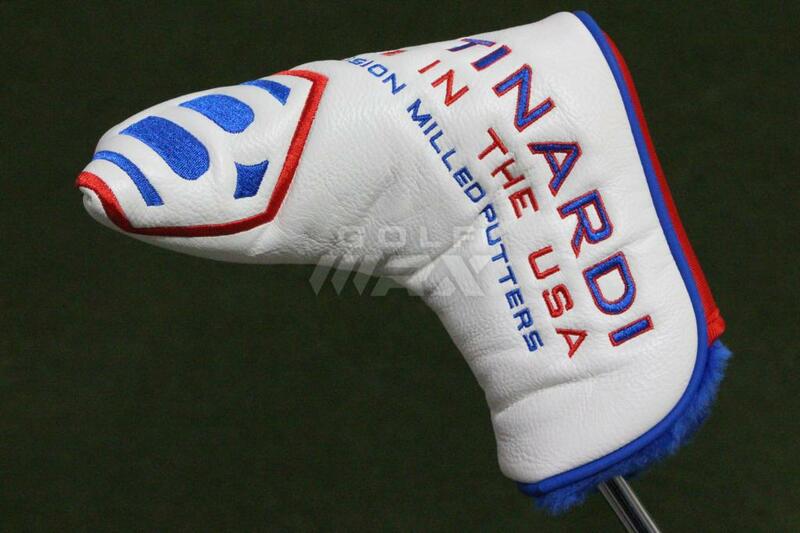 The samples we received had no flaws to either their paintfill or shaft band, and we appreciate the red, white and blue colorways that scream Made in the U.S.A. Another nice touch are the American-made Pure Grips, which are highly durable and continue with the Patriotic theme, as well as the red, white and blue leather headcover (check it out in the photo gallery at the bottom of the story). 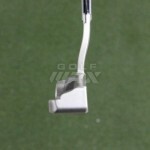 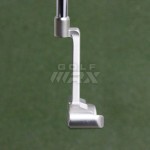 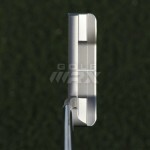 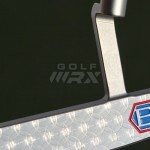 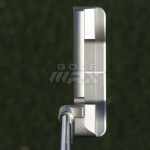 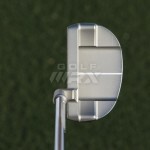 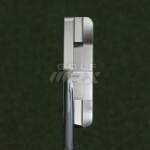 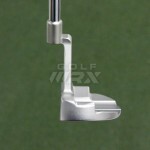 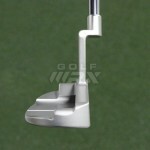 The lone drawback of the BB Series is the inability to adjust the weight of the putter heads through moveable weights. 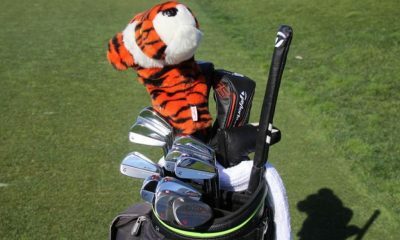 According to Bettinardi, the company shies away from them because it feels that they can negatively affect sound and feel. 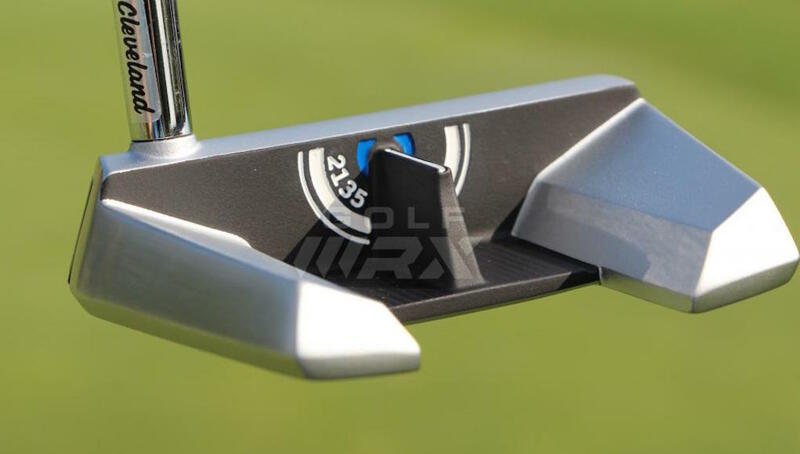 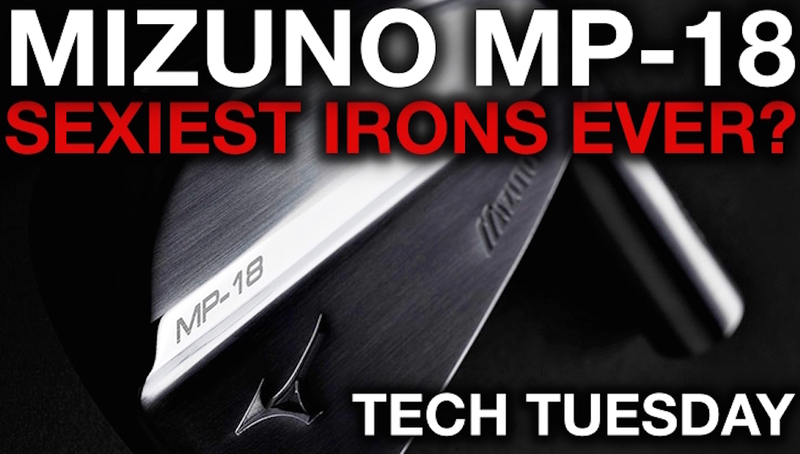 It’s hard to argue that assertion, as each of the putters offers a soft, solid feel at impact. 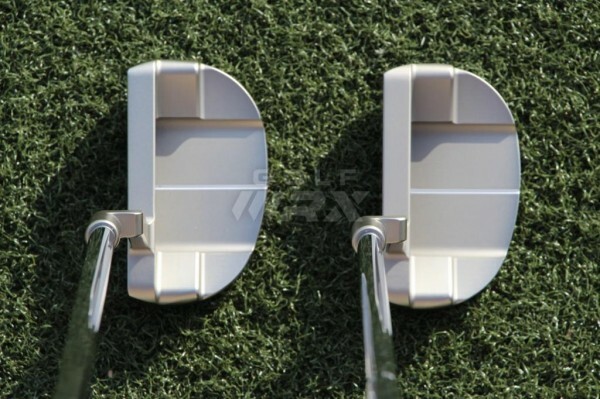 Above: The BB32 and BB32 CB — which has a 42-gram heavier head — at address. Can you tell them apart? 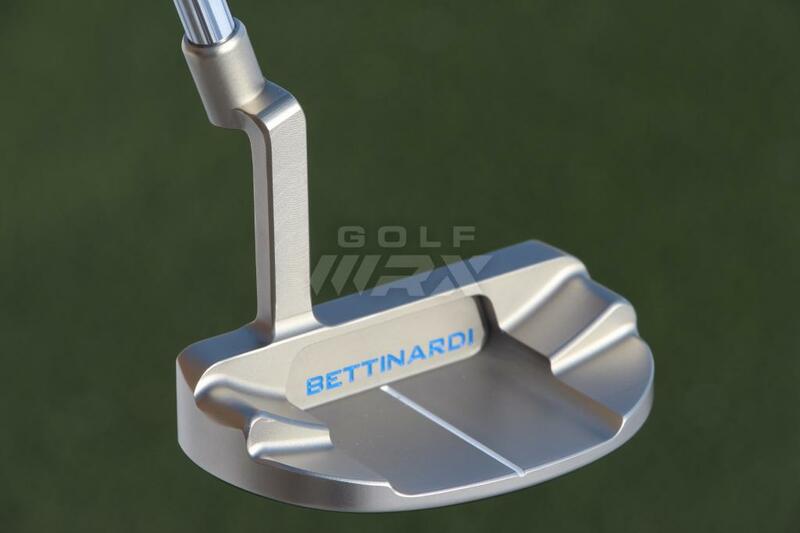 We also understand the cost ineffectiveness of milling custom-weighted putter heads, although we know that Bettinardi could do it. 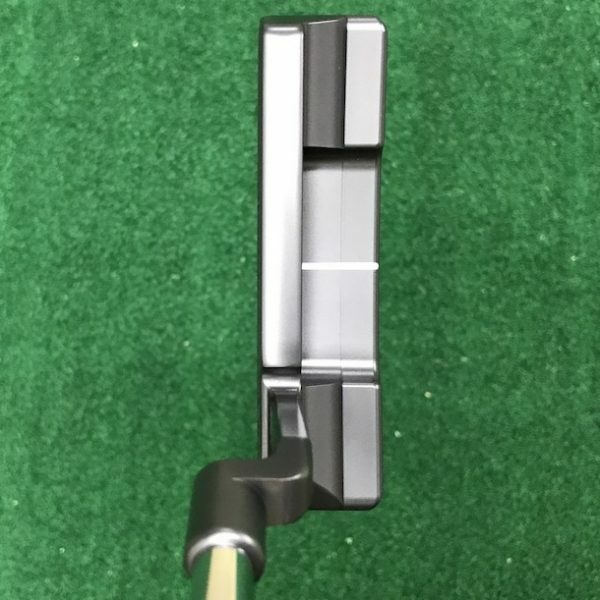 The BB1 CB and BB32 CB putters are 42 grams heavier than the standard-length models, yet they hardly appear any larger than the lighter heads at address. According to Bettinardi, this is possible because each of the putters is 100 percent milled, which allows weight to be distributed evenly (and almost invisibly) across the entirety of the putter head. 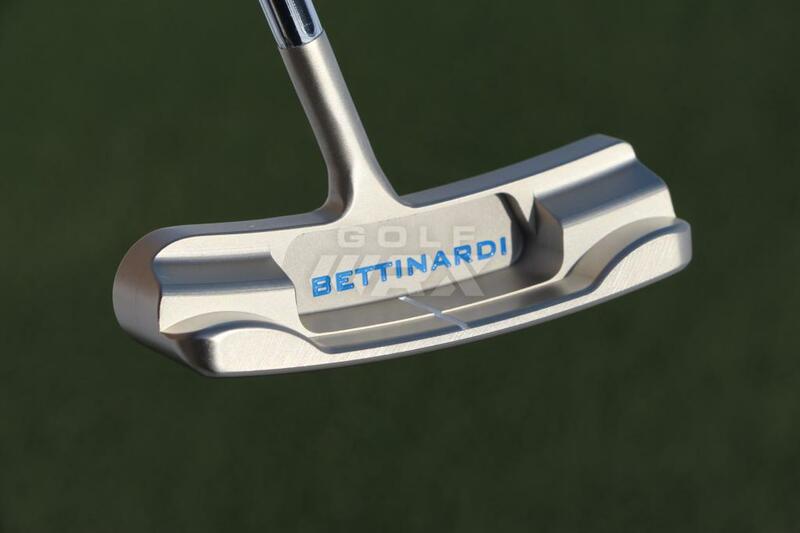 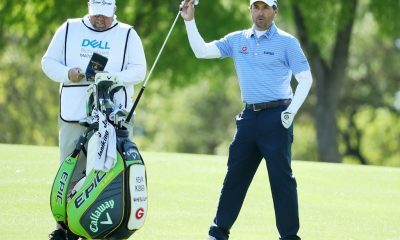 Bettinardi is making an aggressive play to become the go-to premium putter maker in the U.S., signing online distribution deals with major retailers PGA SuperStore and 2nd Swing. 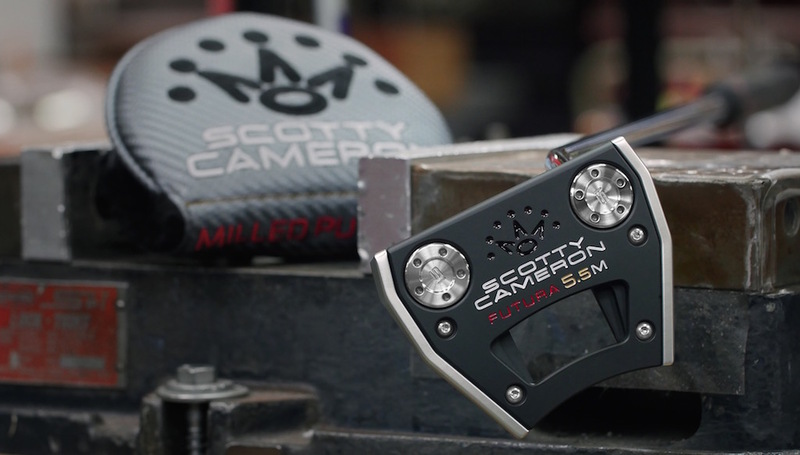 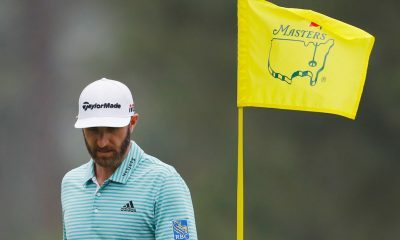 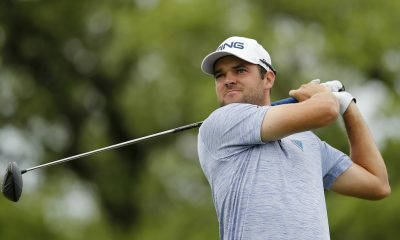 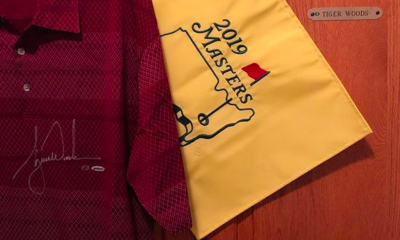 It is also trying to garner more PGA Tour presence, signing Matt Kuchar and Brian Gay as brand ambassadors in 2013, and adding putter reps on the Web.com and Champions Tours. 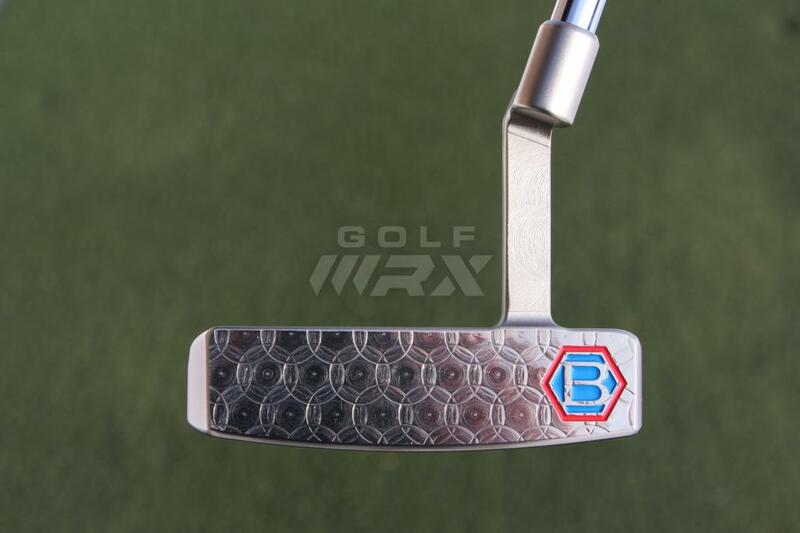 It’s a bold move for the extremely competitive and sometimes fickle putter market, but the quality and beauty of the BB Series line makes it hard to question the decision. 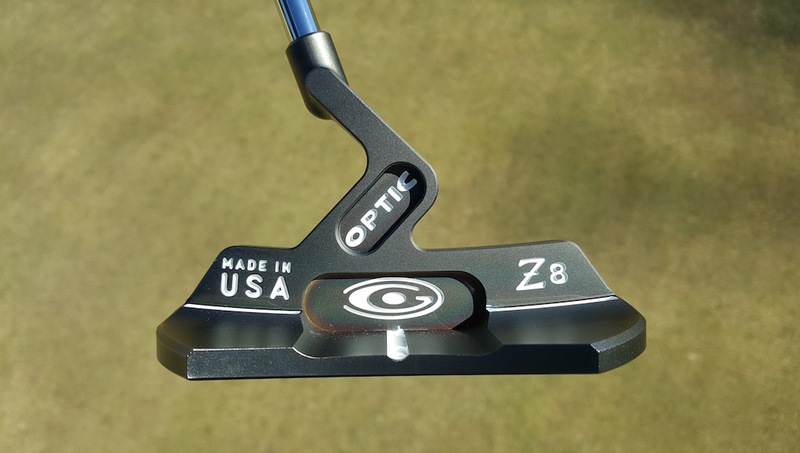 If you’re willing to spend $300 on a putter, congrats, you’re a real GolfWRXer. 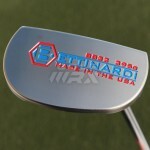 And no GolfWRXer would look down on you for spending that $300 on a Bettinardi. 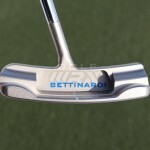 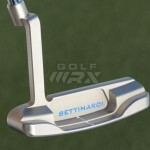 Click here to see what GolfWRX Members are saying about Bettinardi’s BB Series putters in the forums. As a “died in the wool” Cameron guy, I pretty much know what I want and like in a putter. 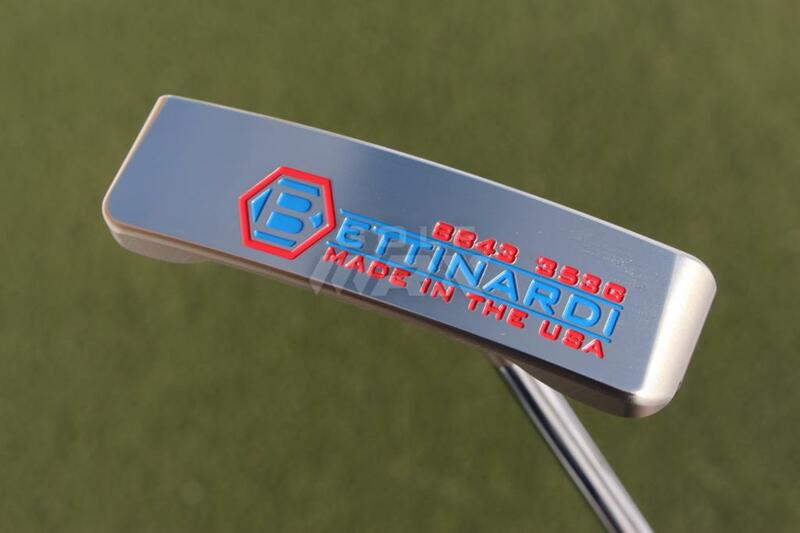 That being said, Bettinardi putters are some of the finest and highest quality putters on the market and I WILL give credit where credit is due. 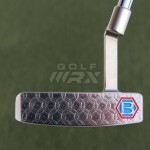 Some people balk at the price of some putters and that’s fine, but you do get what you pay for and pay for what you get. 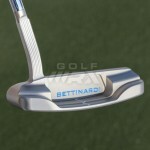 I’ve putted with several Bettinardis and have nothing bad to say about any of them. 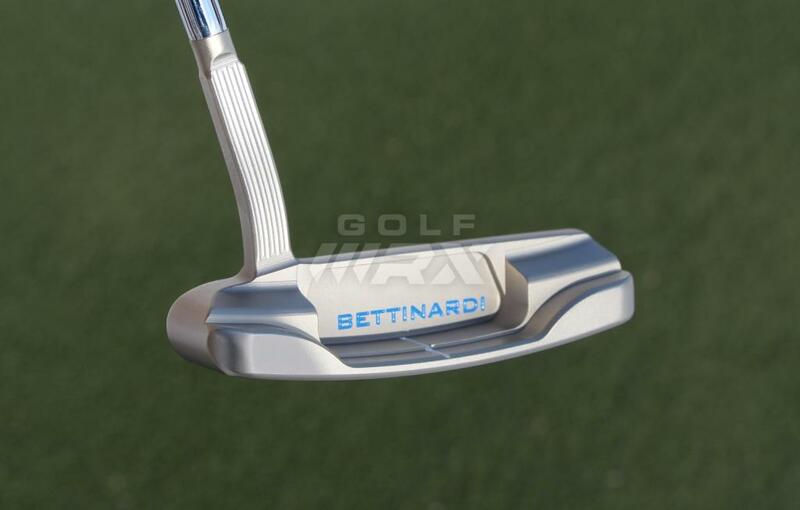 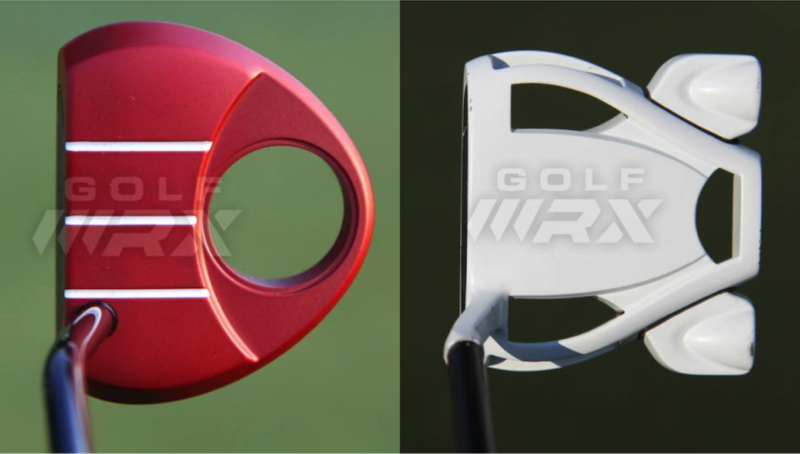 The difference in feel between Bettinardi putters and other putters is unreal. 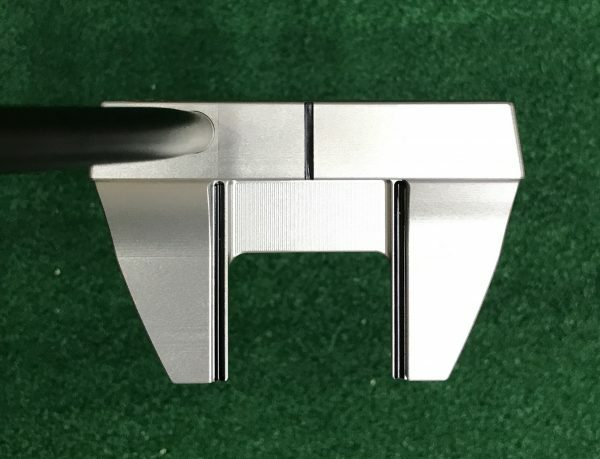 Putting is the most important part in the game of golf, and with the BB32, I was able to shave 5-6 strokes off my game because I was so accurate with the flat stick. 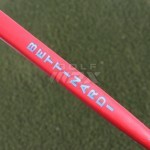 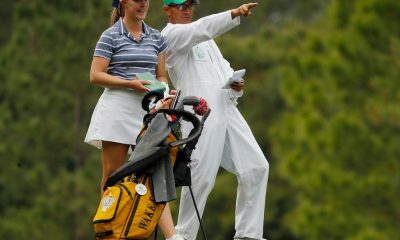 Keep it up Bettinardi! 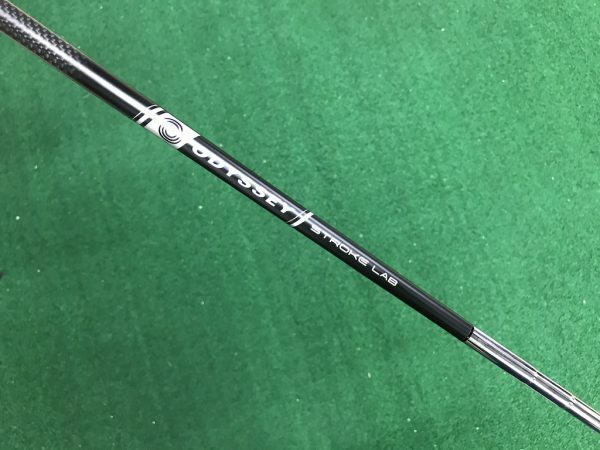 If the CB version has a 395 gram head with a 38″ shaft and a 135 gram grip, those are the same specs as the 38″ DLL … so how could it feel heavier? 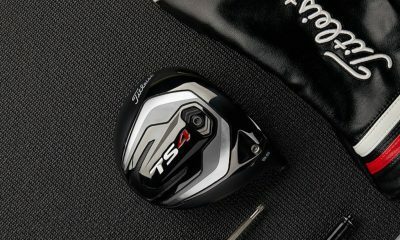 I guess if it had adjustable weights, you would give it 5 stars.